One of the most painful things for a child is to be the scapegoat of the family. The scapegoated child in the family is the rejected one or the child who was picked out to be abused. Scapegoating is a serious family dysfunctional problem in which one member of the family or a social group is blamed for small things, picked on and constantly put down. It’s a generational pattern of abuse that is passed down to the children. One or both parents made a decision that somebody in the family has to be the bad guy. The mother or father makes one child bad and then looks for things (sometimes real, but most often imagined) that are wrong. Blaming and shaming are heaped on one child. The scapegoated child feels different and abandoned. 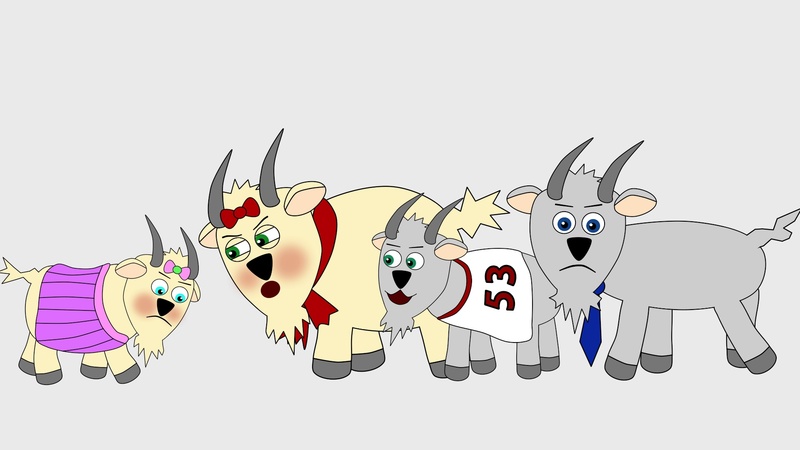 Scapegoating then becomes a learned family pattern being repeated down through future generations with the parent designating a favorite child and a rejected child. The target’s of the abuse experiences bullying, exclusion, ostracism or later even expulsion. Why is a Child Chosen to Become the Scapegoat of the Family? There are different reasons one child is singled out to be made bad and picked on. Perhaps the child is viewed as vulnerable and the parent has the need to bully. Sometimes the scapegoated child is viewed as one who is weak and cannot defend himself. Or the child is hyperactive, non-compliant or acts out and hard for the parent to handle. At times the parent heaps on the blame because he cannot stand the child who has traits and characteristics that are similar to his own! Sometimes the child has personality traits that are similar to a disliked relative (She reminds me of my aunt Tillie whom I never liked.). Other children in the family can pick up the scapegoating pattern and join in taunting and hurting the scapegoated child. In extremely dysfunctional families, the parent may goad the other children to pick on the disfavored one. Bullying is always scapegoating. Abuse is always scapegoating. Scapegoating is a huge social problem contributing to the hate that exists in the world. Scapegoating of whole groups of people happens when there is prejudice or stereotyping. Unfortunately, in a larger sense, some Jewish people or other ethnic groups and minorities have been scapegoated by the lower conscious members of their culture. Surprisingly there is not much research on scapegoating for all the damage that is does to families and to society. Here are some ideas from The Scapegoat Society in England. “Scapegoating is a hostile social – psychological discrediting routine by which people move blame and responsibility away from themselves and towards a target person or group. It is also a practice by which angry feelings and feelings of hostility may be projected, via inappropriate accusation, towards others. The target feels wrongly persecuted and receives misplaced vilification, blame and criticism; he is likely to suffer rejection from those who the perpetrator seeks to influence. Scapegoating has a wide range of focus: from “approved” enemies of very large groups of people down to the scapegoating of individuals by other individuals. Distortion is always a feature…. In scapegoating, feelings of guilt, aggression, blame and suffering are transferred away from a person or group so as to fulfill an unconscious drive to resolve or avoid such bad feelings. This is done by the displacement of responsibility and blame to another who serves as a target for blame both for the scapegoater and his supporters. The perpetrator’s drive to displace and transfer responsibility away from himself may not be experienced with full consciousness. Self-deception is often a feature. Sometimes one child is favored and given special status by the parent. This child can do no wrong according to the parent when they are growing up, but being the favorite backfires on them. In this insidious pattern of favoritism, all members of the family are affected. Children who are scapegoated often feel insecure and develop a victim mentality. They learn that they are at the bottom of the pecking order in the family and often automatically gravitate to that role at school or at work. This dynamic of making one child “good” and another child “bad” in the family is a vicious generational theme learned and passed down from parents to children. Children who are favored often develop their own form of pathology in that they grow up feeling special and entitled. They may see the sick pattern in the parent but do not know how to break out of it. They enjoy their status and may feel bad about the harm done to their sibling. Or they side with mean parent to add to the misery of their sister or brother. Over time, they may start to realize how much harm was done to them. They go into therapy to clean up how their thinking has been twisted by being scapegoated. Of courses there are exceptions but it’s my belief that it’s almost better to be the scapegoated child than the favorite because you can grow up and get away from the sick behavior. The favored child becomes enmeshed with the sick and controlling parent and remains stuck in family dysfunction. Rejected children have a chance to get away from the ongoing cruelty and invalidation of the family who picks on them and build their own lives. Scapegoated children can grow up and get into therapy to have the opportunity to work through their problems. The favored kids rarely do. People who were scapegoated can recognize and work on their abandonment issues and choose healthy partners to build a better life. It takes a while but later on, the adult child who has been abused by family members recognizes the problems they’ve had come from disturbed parents. They get into therapy and work things out. They learn to let go of feelings of abandonment and shame. The cruelty of abuse continues through adulthood with vicious gossip, slander and lies posted on social media. Scapegoated people can distance themselves from the relatives who enjoy continuing the abuse. What Should You Do if You Were Mistreated? If you recognize that certain people in your family or workplace always take the brunt of what is going, it is probably scapegoating. If this is your dynamic, you can learn what you do unconsciously to keep yourself a victim. Do whatever it takes to change this role of being blamed. If you were designated the black sheep of the family, then studying this dynamic is the way to release yourself from its poison. Learn to recognize the negative family patterns of blame and shame and vow to stop doing them in this generation! Stop trying to win the favor of a parent who did not like you when you were growing up. A parent who rejects their child has some severe personality disturbance and is not likely to change. The best you can do is understand the underlying dynamic of your parent and try to come to peace with this on your own. Don’t expect your parent to “own” up to their mistreatment of you. Most likely, they will only deny and blame you again for being ungrateful. Some children who were scapegoated have as little to do with the abusive parent as they can when they grow up. Refusing to remain in an abusive situation is a healthy choice. Educate yourself about narcissistic and rejecting parents and join Facebook communities that share information about how to deal with them. Read my many articles of the varied forms that narcissism can take. See the Narcissism category in this website for further ideas. What Should You Do if You Are or Were Mean to One of your Children? Understand the dynamics and deal with your anger. Examine family patterns of favoritism and placing the blame on one child. Who did you learn this need to idealize one child and dislike another? Do a web search on The Drama Triangle. Take responsibility for your actions. Apologize to the mistreated child (even if they are an adult now) and stop playing favorites. Get into therapy and learn to live with yourself and family members in more productive ways. What Should You Do if You Notice Someone Being Scapegoated? If you know a child who suffers from scapegoating, show him or her some extra attention and be reassuring that the rest of the world does not see him as “bad.” Stand up and speak out against injustice when you can, saying, “Hey that’s not fair. Leave him/her alone.” Get other family members to join you in insisting on fairness–there is strength in numbers. Break the destructive silence–when necessary, report abuse to the authorities. Children need to be validated for who they are as a human being. They need to be listened to from a caring adult. Become a mentor and act as a positive role model so that he can learn to see himself as a valuable person in his own right. Some children from dysfunctional families seek out more positive people to learn from. Do not let him accept the identity of being a bad person simply because a family member was a dysfunctional bully. If your parent did not like you, he or she will probably not like your children. Help your children to understand their grandparent’s inability to be fair and kind to all as their own problem. Find healthy substitute older people that will act in loving ways to your children and appreciate them for who they are. 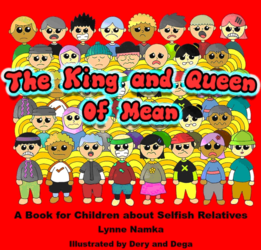 Get my book for your children which teaches them to deal with mean and unreasonable relatives. It’s available on amazon.com and other electronic book stores world wide. In the US, the link is https://www.amazon.com/King-Queen-Mean-Lynne-Namka/dp/1523880538/ref=sr_1_1?s=books&ie=UTF8&qid=1496345589&sr=1-1&keywords=king+and+queen+of+mean+lynne+namka If you’re from another country do a web search to amazon.com with King Queen Mean Lynne Namka to get to the link. Do more reading to explore how scapegoating may have affected not only your own personality but how it made you feel invalidated. Do a web search on assertive behavior to learn to challenge others who try to put you down. Read Gail Meyer’s blog and watch her YouTube videos. See her book, The Scapegoats of a Narcissistic Mother. Take an assertiveness training class and learn to set boundaries to other’s inappropriate behavior. Keep learning and growing to get past any identity of being less than anyone else. You can grow past the harmful labels that may have been put on you as a child by a disturbed parent. You deserve a happy life.